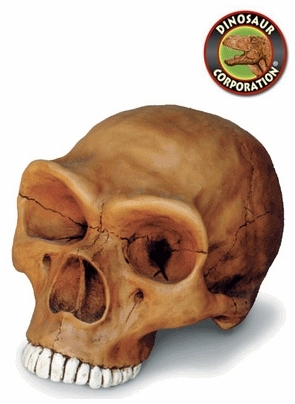 Neanderthal Cranium. Neanderthal man, represents an often disputed link in the lineage to modern man. Homo Neanderthalensis. Neanderthals began to evolve about 400,000 years ago, and survived in Europe and Asia until around 35,000 years ago. Meanwhile modern humans (Homo sapiens) were evolving in Africa.